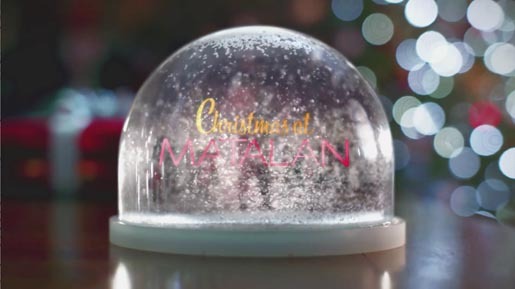 Matalan, the UK online store, is running a new Christmas-themed advertising campaign featuring snowglobes. The season’s latest ladieswear, menswear, kidswear and homeware, everything you’ll need for the party season, are referenced in a television commercial with “feel good” moments: opening presents on Christmas morning, sledging in a snowy park, having fun at a Christmas party. Filming was shot by director Steve Cope via Rattling Stick, London, with producer Kate Taylor and director of photography Ian Murray. Editor was Tim Hardy at Stitch Editing, London. Post production was done at Absolute Post, London, by Flame artist Dave Smith. Sound was produced at Wave Studios, London.